Call me crazy but when I see a disastrous garage my first reaction is…excitement! I do understand that most of my clients do not share this initial reaction with me as we survey the chaos together during a consultation. So I try to keep my excitement to a minimum. But I am always confident that by the end of our organizing project they always end up sharing my feelings of excitement and satisfaction. Although your garage, basement or some other cluttered area of your home looks out of control now, I guarantee you there are very simple and quick solutions we can come up with that will have you excited like me in no time. Having worked in a corporate setting for many years in the past, I spent a lot of time studying people’s habits while trying to come up with lasting solutions for them. I found that the people who took the time to get organized and get rid of things they no longer needed seemed to be the most successful. 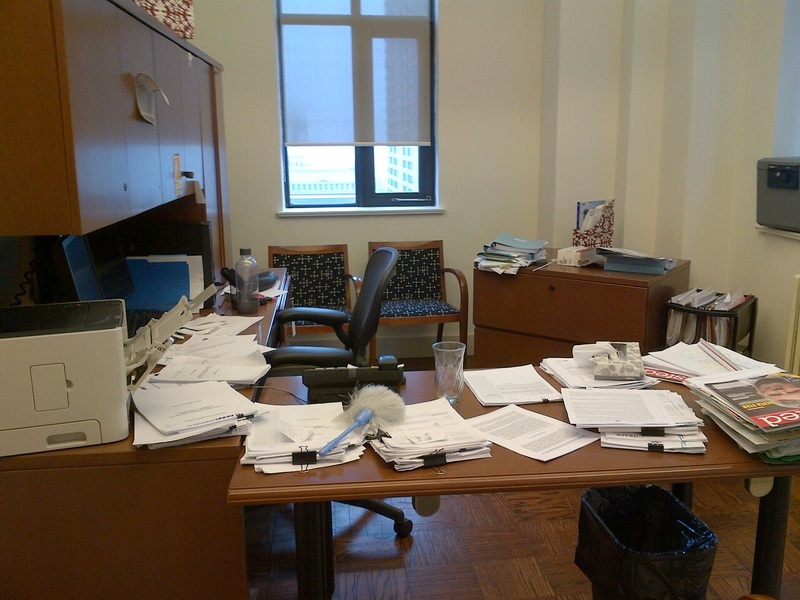 Dealing with a messy, cluttered work space is more time consuming and destructive than most people realize. I understand how overwhelming it may seem, not knowing where to start and getting stuck in putting it off. 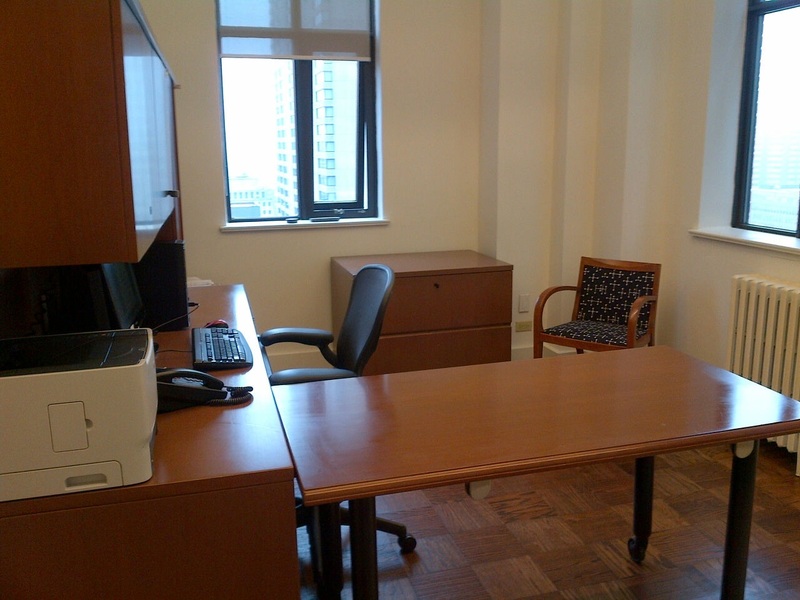 I can help you to de-clutter, organize and create a truly functional work space. Who wouldn’t love to wake up to this every morning? Well…you don’t need to live in a white room by the sea to wake up feeling refreshed, organized and excited about your life. You just need to make some small but serious changes and I am here to help you do just that. Memorial Day weekend, years ago, I got my life back. I’ve relived the scene a thousand times. I woke up with a simple job to do: clean out the garage. It was not a project out of the ordinary. In fact, I did it every spring. But on this particular Saturday, for the first time, I’d be introduced to the truth that I didn’t have to. And a minimalist was born. In that moment, I made a life-changing realization: Everything I owned had not brought meaning, purpose, fulfillment, or lasting joy into my life. In fact, not only were my possessions not bringing me joy, they were actually distracting me from it. We immediately began pursuing a more minimalist lifestyle by removing the unnecessary possessions from our home and lives. This journey towards minimalism has been far more life-changing and life-giving than I expected. The possessions in our lives define who we are on a far deeper level than we realize. And as a result, the process of removing them teaches us valuable truths about ourselves and the lives we live. 1. Desiring less is even more valuable than owning less. Owning less brings some amazingly-practical benefits into our lives. It costs less. It requires less time and energy to maintain. It brings freedom, rest, peace, and calm into a hectic world. And it provides greater opportunity to pursue our truest passions. But I have found, over the years, the desire to own less is even more valuable than owning less. Over time, I have been able to remove myself from the incessant desire for more–even in a society that idolizes consumerism at every turn. And when our life’s desire shifts away from pursuing physical possessions, we are finally free to pursue lasting worth with all our heart. 2. Allow the journey towards less inward. Dropping off a handful of clothing at Goodwill is not hard. Dropping off a full van load of unused possessions is not even that difficult. But pulling up to the Goodwill drop-off for the fourth time with a van load of completely unnecessary possessions initiates a lot of soul-searching. The journey toward minimalism runs through the heart and soul. Correctly pursued, it forces us to ask some hard questions in deep places about our most intimate motivations in life. Why did I buy all these clothes? Why did I buy a house with rooms we never use? Why do I still flip through the ads every Sunday even though I own so much already? Why am I still envious of my neighbor’s stuff? These are hard questions to ask with no easy answers. But the darkest truth is that unfortunately, far too many people, will never even ask them. 3. The potential of minimalism lies in the addition, not the subtraction. Minimalism is not the goal. Minimalism is, after all, less about the things you remove and more about the things you add. The potential of minimalism lies in what you choose to pursue with your life in place of material possessions. Choose contentment. Pursue gratitude and generosity. Invest in relationships, grow spiritually, discover truth, and find purpose. Your life is far too valuable to waste chasing possessions. And you’ll discover this life-giving truth as soon as you stop. 4. Minimalism will always vary. I live with 33 articles of clothing. But Leo Babauta lives without a toaster, microwave, or paper towels. Sarah Wilson does the same. And Daniel Suelo lives without money. I am very thankful for Leo, Sarah, Daniel, and Mukund because I am inspired by those who own less. They cause me to reevaluate my presumptions and strive towards even greater intentionality. But I have long since removed the comparisons. I am called to live a different life than them. I have different values, different passions, and different pursuits. As a result, my minimalism is always going to look different. Minimalism is the intentional promotion of the things we most value and the removal of anything that distracts us from it. And by definition, this means minimalism will always look different. 5. We can change lives. We can change the world. I sat behind a computer screen years ago and started this blog with just a few keystrokes. It was to be nothing more than an on-line journal of my journey towards minimalism. But along the way, something unexpected happened. People started reading. And found new life because of it. The inspiration continues to grow… both through this blog and in my life. This is a far better way to live than most people realize. It is available to anyone who hears the message of living with less and chooses to accept it with their whole lives. May the invitation to minimalism continue to change lives. And ultimately, the world. This is my hope. Thank you so much for reading and supporting Becoming Minimalist. There are still exciting days ahead.